Well, what a fantastic weekend we had last month. The third Trellech BIG Weekend was the best yet. 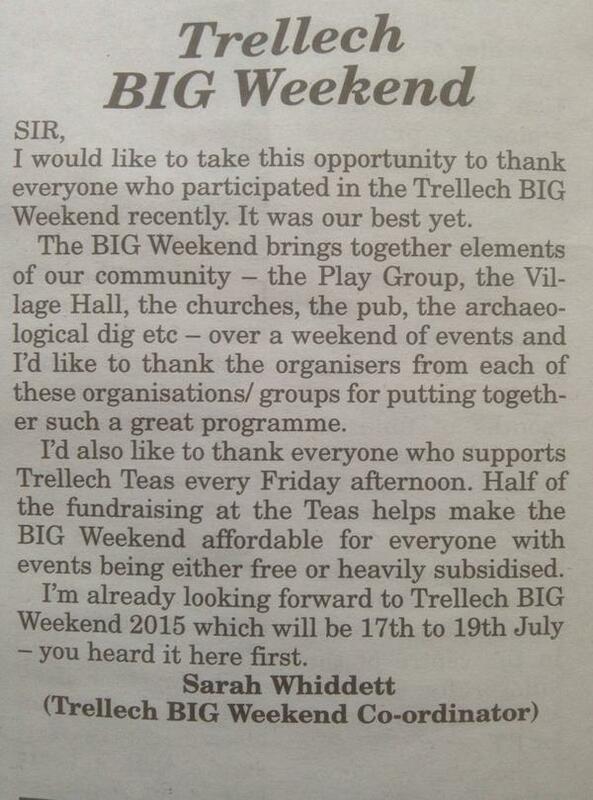 I would like to take this opportunity to thank everyone who participated in the Trellech BIG Weekend. There’s a report below and some pictures on the website. We’ve already set the date for next year’s (July 17-19 2015) so put that in your diary now! We’re having a quiet summer, though we’re still running Trellech Teas and there’s a new dog training class. September has some exciting new events planned. Tai Chi classes, a celebrity speaker and an opportunity for a clear out. 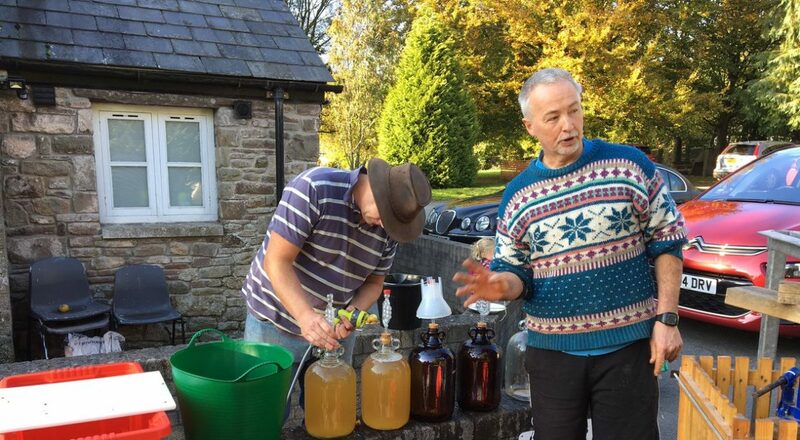 We also have a big thank you to say to everyone involved in Trellech Teas. This year was the third BIG Weekend (if you count the Jubilee weekend in 2012 as year 1). We packed a lot into the three days and I hope you were able to attend at least something in that time. We kicked off with Trellech Teas and the Flower Festival in St Nicholas Church and finished with a very well attended Songs of Praise family service and afternoon tea, also at the Church. Due to the fantastic fund raising that has been going on all year via Trellech Teas (more of that below) we had enough money to not only pay for much better marketing (flyers, posters, banners etc) but also to subsidise events so they were either free or at a nominal cost. Thanks to all the organisers who spent many months getting everything sorted and to everyone who took part. Next year we’ll be doing it all again – July 17-19. If you’d like to make any suggestions and/or get involved in planning please let me know (sarahwhiddett@hotmail.co.uk). Read a full report and have a look at some of the pictures on the BIG Weekend website.